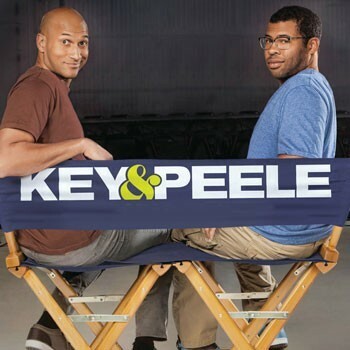 The Pullo Center at Penn State York welcomes the comedy of Key and Peele to its stage on Friday, November 30, 2012, at 7:30 p.m. Ticket prices are $40, and $32, and go on sale Tuesday, September 4, at 10:00 a.m. Pullo Center members can order now. Tickets can be purchased at the Pullo Center Box Office, charge by phone at 717-505-8900, or online at ThePulloCenter.com. Keegan-Michael Key and Jordan Peele are the stars of “Key & Peele,” an original new sketch-comedy show that examines life in a provocative and irreverent way, through a combination of filmed sketches and live stage segments. Whether it’s satirizing the President, spoofing Nazis, or ordering up some soul food, Key & Peele showcase their chemistry, camaraderie and unique point of view, born from their shared background and experiences growing up biracial in a not quite post-racial world.